Try grinding it on fresh sliced tomatoes, or any vegetable dish. 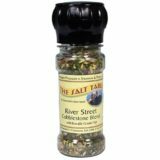 This is also especially good for sauces, baked chicken and fish. 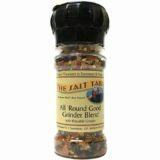 This is our special grinder blend developed for herb and salt lovers, with a re-usable grinder top for easy flavoring. 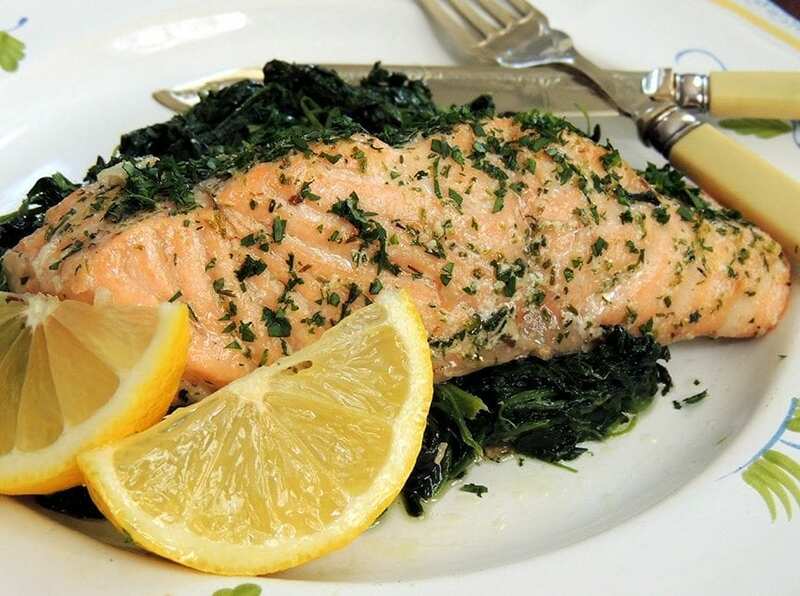 Ingredient: Coarse Atlantic sea salt, parsley, chives, rosemary, basil, celery seed, sage, thyme, marjoram, cilantro, dill. Summer may be the season for grilling steaks outdoors, but in Savannah, when the heat and humidity of mid-summer are at their peak, it’s often too uncomfortable outside to even think of standing over a hot grill. That’s when pan-broiling becomes the perfect answer, especially with The Salt Table’s Hickory Smoked Beef Rub lending that great hickory-wood-grilled flavor. 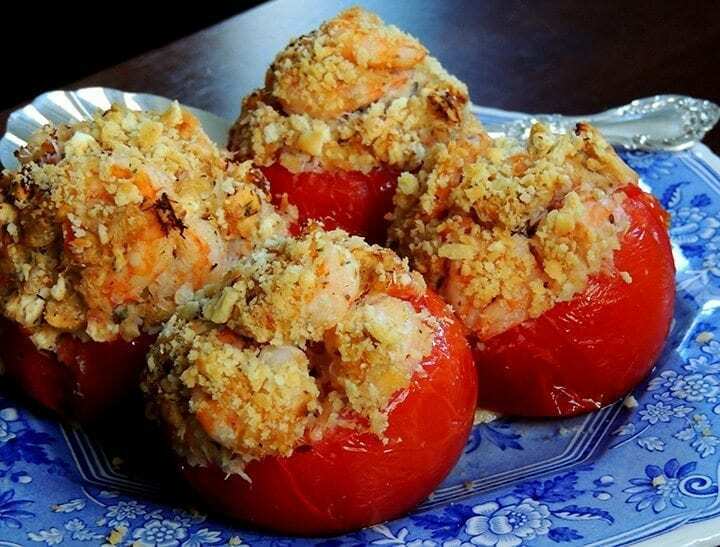 If you’d prefer a less smoky flavor, use Savannah Summer Salt Seasoning Blend instead. Yes, you’ll need a pan and a hot oven to finish the steaks, but the process goes quickly and indoor temperatures are usually much more bearable. The steaks should be at least 1-inch thick but less than 2 inches thick. They need to be thick enough so as not to overcook at the center before the outer surface is sufficiently caramelized, but not so thick that the outside chars before the center is done. You need a heavy-bottomed pan that isn’t much larger than the steaks. If it’s too large, the fat rolls out to the edges and burns, making for an unpleasant smoky experience. My preference is well-seasoned cast iron. Have the meat at room temperature. I know what’s being said about having them really cold so that the center stays rare, but unless you like them “blue-rare” (a barely warm 90 degrees at the center), for pan-broiling, cold meat is not going to cook evenly. Make sure the surface is dry: wrap the steaks well in a couple of layers of paper towels for a few minutes and blot them well before adding them to the pan. Season them before they’re cooked. You want to give the seasonings a chance to sink into the meat. Conventional wisdom used to hold that salt drew the moisture out of the steaks, but in pan-broiling, they’re cooked before that really starts to happen. Have the oven heated and ready to finish the steak. This will you achieve a more even level of doneness while minimizing the amount of smoke in the kitchen. Have the rest of the meal ready: once the steaks have rested, they won’t wait while you fiddle with something else, and déglacé sauce won’t hold. Checking the second side sear. The fully seared steak ready for the oven. Keep in mind that the internal temperature will climb another 5 degrees while it’s resting, so take it when the thermometer is reading 5 degrees lower than given here for the preferred level of doneness. Note: The optional sauce here is a Déglacé (pronounced Day-glah-SAY), which is really just French for “pan-gravy” but doesn’t it sound much classier in French? Be sure the steaks are room temperature, and have all the side dishes ready. 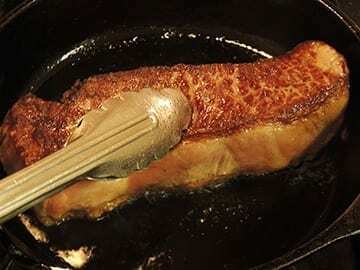 Position a rack in the upper third of the oven and preheat to 450-500 degrees F. Wrap the steaks well with paper towels and gently press to blot them, then put a well-seasoned 10-inch cast iron pan over medium heat. Leave it to heat for 4 minutes (set a timer). While the pan heats, unwrap the steaks and rub liberally with Hickory Smoked Beef Rub. Let them sit until the pan is hot. Add 2 small pats of butter (about half a tablespoon each) to the pan. 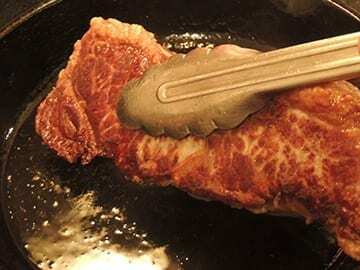 They will immediately start to sizzle; lay the steaks over the butter and raise the heat to medium-high. Let them sear until they are well-browned. If they seem to be sticking to the pan, let them sear until they naturally release. This should be no more than 2 minutes. 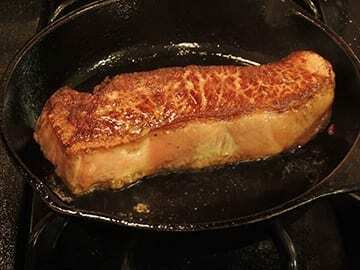 Turn and sear on the second side for another 1½-to-2 minutes, then transfer the pan to the oven. Cook until they are done to your taste, about 1-to-1½-minutes for very rare, 2 minutes for medium rare, 2½-to-3 for medium. If you like them well-done you’re on your own. 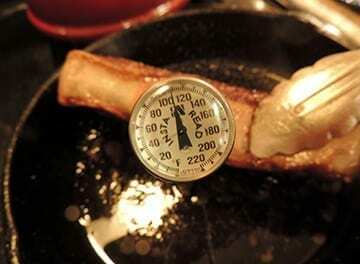 The exact timing will depend on the thickness of the steak, so if it’s thicker it may need a minute more. Remove the pan from oven and transfer the steaks to a plate or small platter. Let them rest 2-3 minutes. Meanwhile, divide whatever side dishes you’re serving with the steaks between two warm dinner plates and make the Déglacé Sauce (see step 5) if you’re having it. If you’re finishing them with Southern Herb Garden Butter, turn off the heat and skip to step 6. To finish them with Déglacé, while the streaks are resting, return the pan to medium heat. 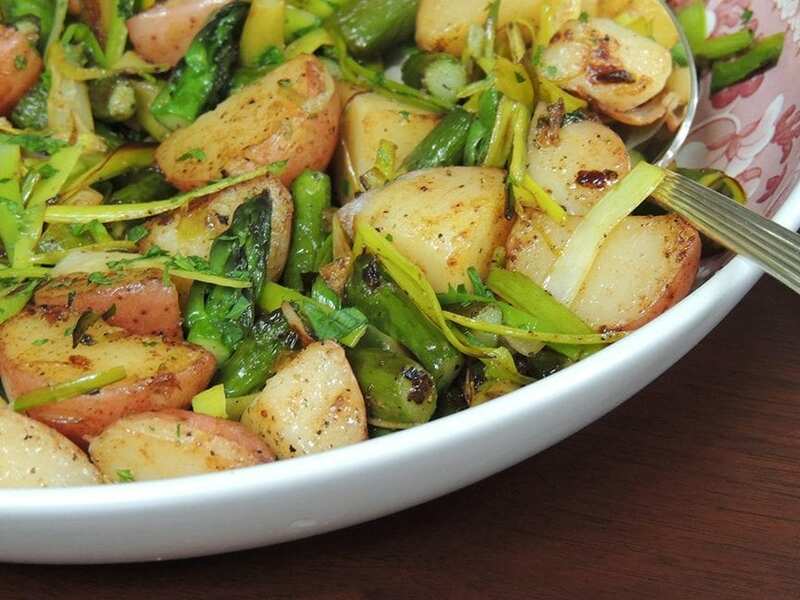 Add the shallot and sauté until it’s golden. Pour in the wine and broth, stirring and scraping to loosen the cooking residue. Raise the heat to high and boil until the liquids are reduced and almost syrupy, then quickly remove it from the heat and swirl or whisk in a tablespoon of butter until it’s emulsified into the liquid. Gradually add the remaining butter in the same way. Swirl in the parsley. 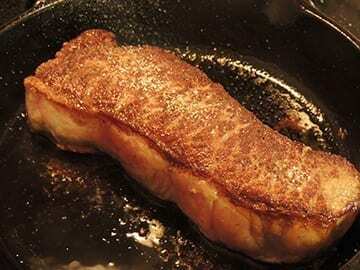 If you’ve made a strip steak, slice it crosswise into an even number of slices. 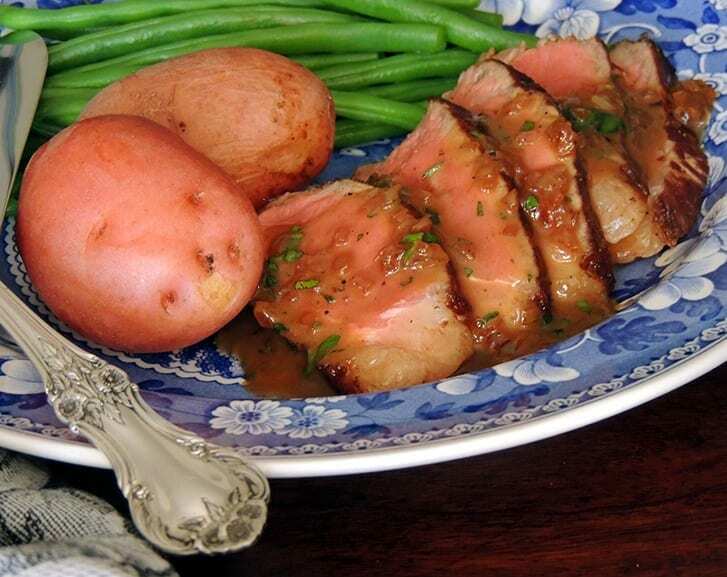 Quickly transfer the steak to the prepared dinner plates, pour the sauce over it, and serve immediately. To finish individual steaks with herb butter, transfer the steaks to the prepared plates and top each with a generous 1-to-1½ tablespoon-sized slice of it and serve immediately. Classic Maître d’Hôtel and other herbed butters usually involve several ingredients, but with The Salt Table’s Southern Herb Garden Blend, the seasonings are already a balanced blend. This makes a nice presentation on a whole steak, but really doesn’t work on steak that’s served sliced. This not only can be made ahead, it should be made at least 3-4 hours ahead to give the seasoning time to fully reconstitute and flavor the butter. 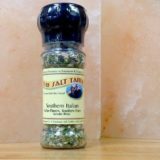 Other good seasoning choices are Southern Spring Blend, Leek, Chive and Onion Seasoning Blend, Shamrock Dust, and of course All Round Good Grinder Blend. Lightly cream the butter with a wooden spoon. 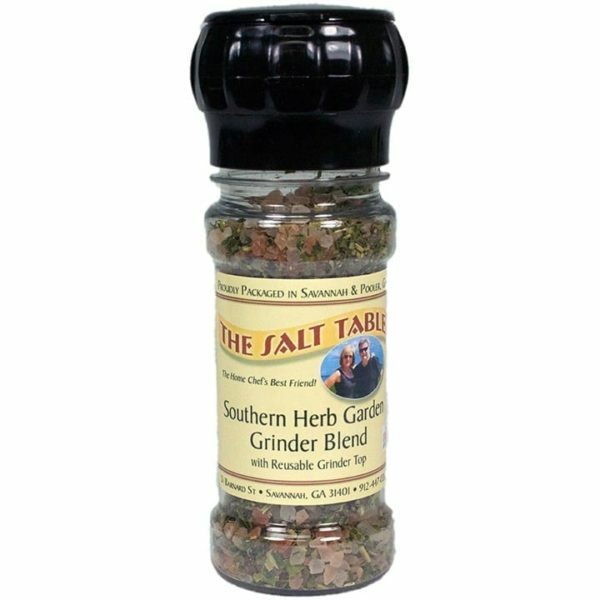 Season it well with Southern Herb Garden, add the lemon juice, to taste, and blend well. Taste and adjust the Herb Garden Blend as needed. This can be done in a food processor fitted with a steel blade. Spoon the seasoned butter onto one end of a square of wax paper. Roll it up in the paper into a 1-inch-diameter cylinder and fold the ends. Chill until firm. 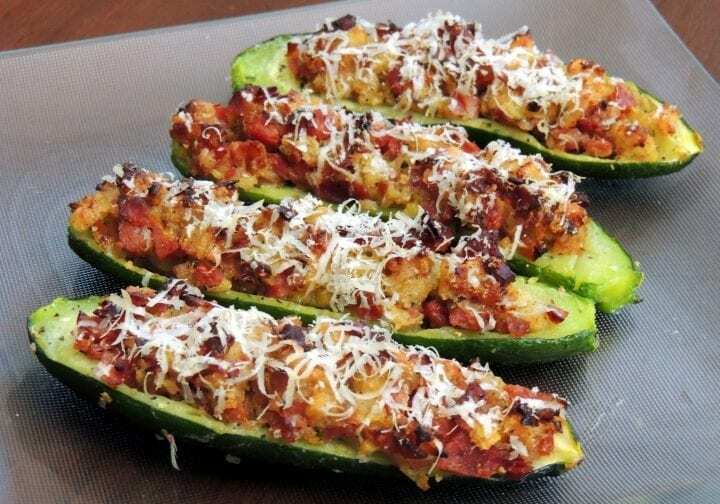 To serve, slice it into 1/2-to-1-1/2-tablespoon rounds as needed. 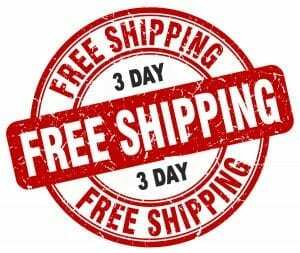 It will keep for up to 2 weeks, well-wrapped and refrigerated. Use it to top warm steaks, fish, lamb chops, or vegetables. 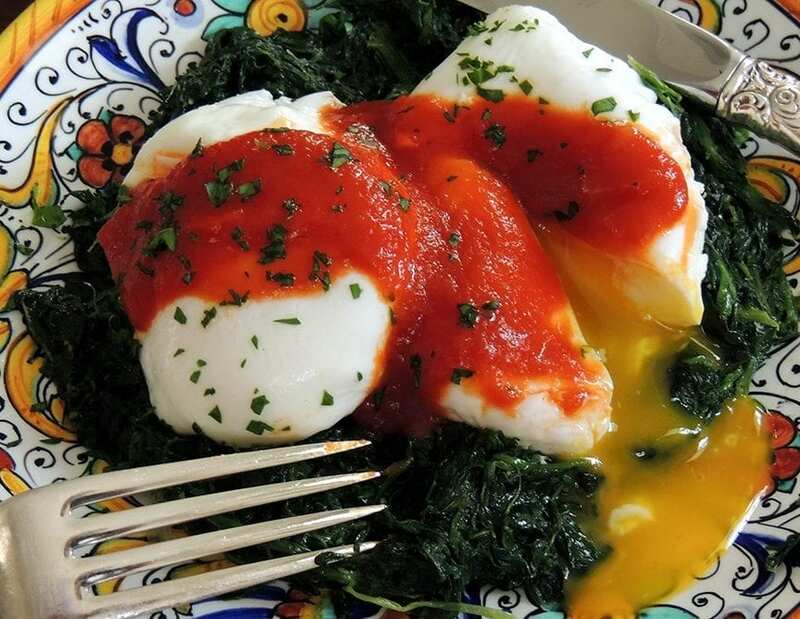 This is a lean and simple alternative to sautéed or fried chicken cutlets with far less mess. They can also be grilled if you prefer. 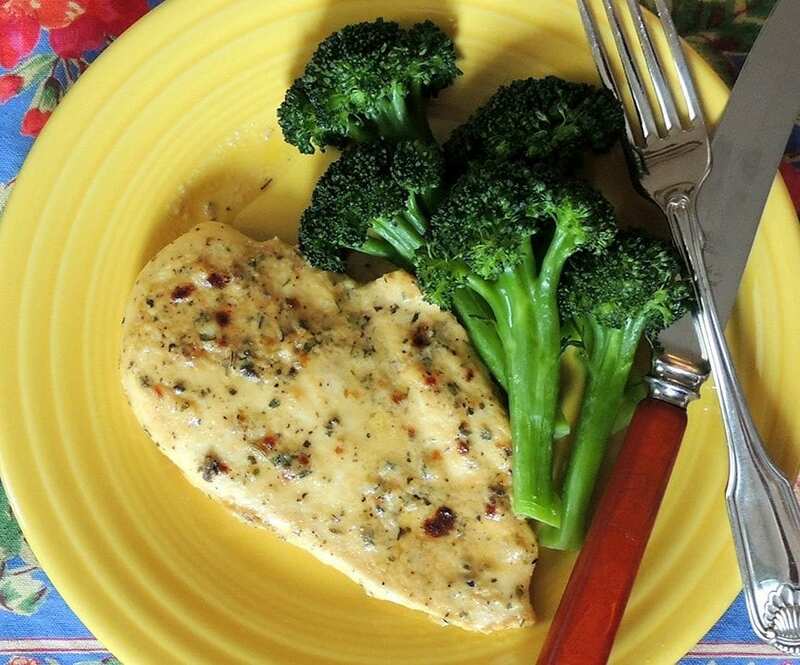 If the only chicken breast halves you find are 10-12-ounce each, split them in half horizontally. 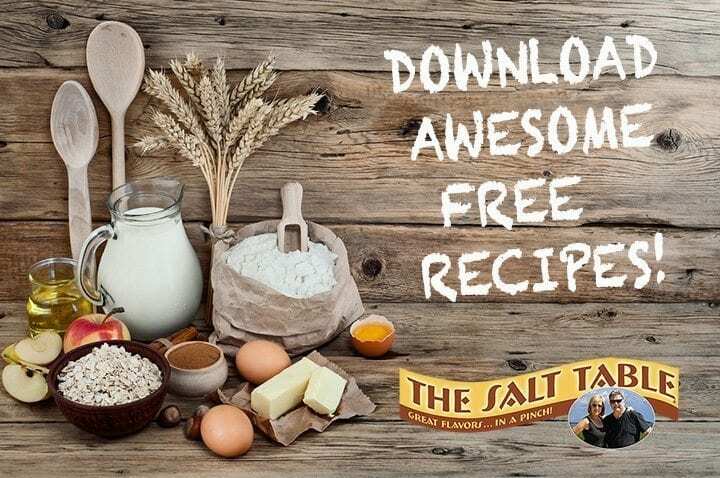 The Salt Table’s Hostess City Southern Hospitality Blend make short work of the seasoning and really enhances the mustard marinade. Position a rack 8 inches below the heat source and preheat the oven broiler for 15 minutes. Trim the chicken of any fat and cartilage and pat dry. 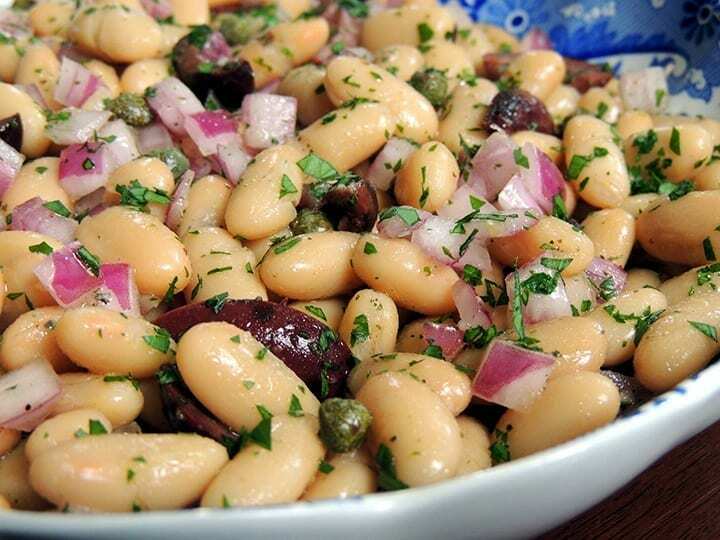 Put them into a shallow glass or ceramic dish. Lightly season them on all sides with Hostess City Southern Hospitality Blend. Sprinkle the chopped garlic with the pinch of salt and, with the side of a knife blade, scrape and rub to a puree. Scoop it into a small bowl. Whisk the mustard into garlic, then whisk in the vermouth and olive oil. Season lightly with more Hostess City Southern Hospitality Blend. Pour this over the chicken, turning to coat it, and let it marinate 15-30 minutes. 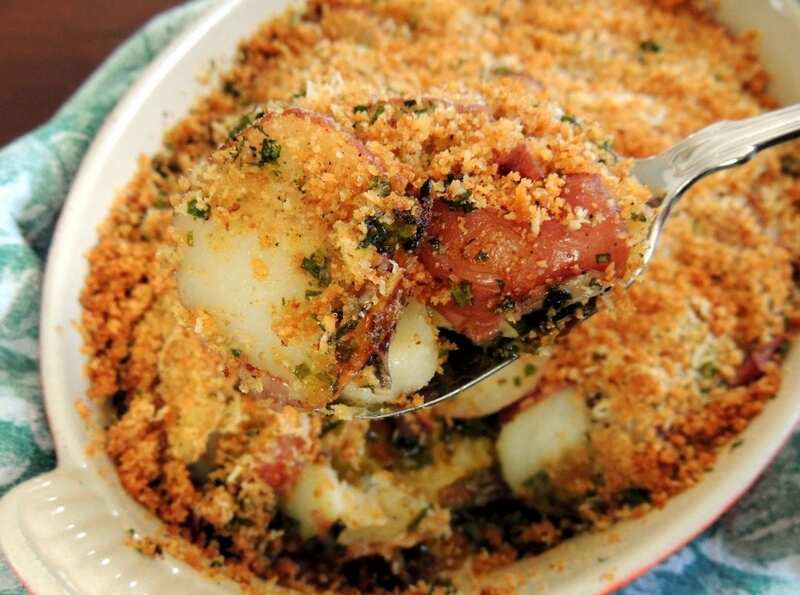 Rub a rimmed baking sheet or bottom of flameproof (broiler safe) casserole with olive oil. Lift the chicken breasts from the marinade, put them skin-side down in pan, and brush them well with the marinade. Broil until they’re beginning to color, about 3-4 minutes. Turn, brush with more marinade, and broil until they’re lightly browned and cooked through, about 4 minutes longer. Discard remaining marinade.